Does your child love unicorns? 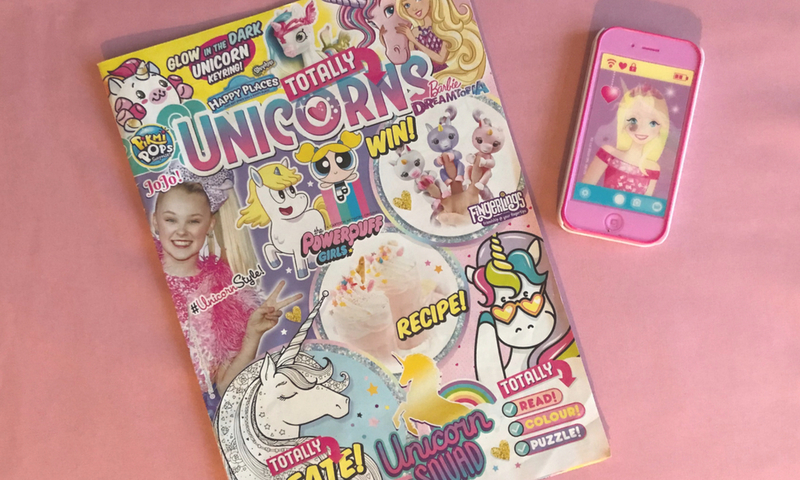 Then the brand new Totally Unicorns magazine is for them. We were delighted to be given the opportunity to review the magazine and run a giveaway for three of my lucky readers to win a copy of the magazine. 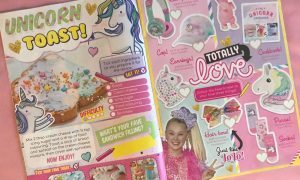 The magazine is aimed at children aged 5 years and older, and it comes packed full of activities including stories, recipes, colouring, puzzles and games, and competitions, all of which are unicorn themed. I love how brightly coloured it is throughout, and every page has something to catch your child’s attention. It’s the perfect magazine to keep your child occupied for a while, whilst they learn at the same time. 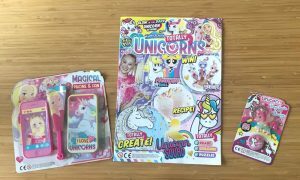 There are also a couple of free gifts that come with the magazine too, all of which are unicorn themed, and include a fake phone, glow in the dark key ring, a fan, and a rubber. My daughter loves playing with these, especially the fake phone, pretending she is talking to her friends. My favourite part of the magazine was finding out our unicorn name. Mine is Cutie The Powerful and my daughter’s is Cutie Fancy Feet, which I thought was quite apt for us. Overall we were impressed with the magazine, and I’m looking forward to making Unicorn milkshakes and toast with my daughter this week. 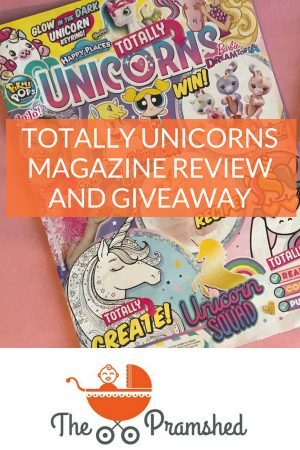 If you want to get your hands on a copy of Totally Unicorns magazine I’m offering three of my readers the chance to win one for themselves. 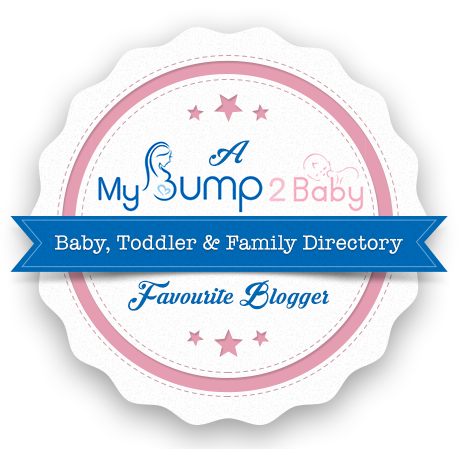 It’s really easy to enter, all you need to do is like or visit the Totally Magazines or The Pramshed Facebook page, or comment on this blog post. The competition is open daily from Tuesday 29th May until Tuesday 5th June 2018 (full Ts and Cs apply). Good Luck! The competition opens on Tuesday 29th May 2018 and ends at 11.59pm on Tuesday 5th June 2018. Entries that are incomplete, illegible, indecipherable, duplicated or which contain profanity will not be valid and deemed void. 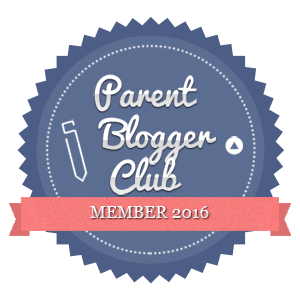 To enter applicants can do the following: 1) Comment on the blog post, 2) Visit or like Totally Magazine and/or The Pramshed on Facebook. The prize is as stated and comprises of 1x Totally Unicorns magazine for 3x winners. The prize is not transferable to another individual and no cash or other alternatives will be offered. The winner will be announced by Thursday 7th June 2018. Unless stated otherwise the winner will be drawn at random from all correct entries received by the closing date Tuesday 5th June 2018. All competition entrants data will be held by Gleam and not The Pramshed. 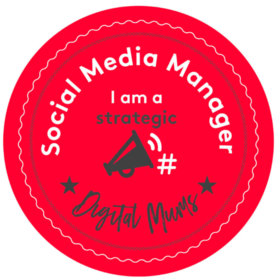 This is a collaborative post with Totally Unicorns. My daughter is obsessed with unicorns. She would love to win this. Kim Carberry recently posted…Glam Goo – Fantasy Slime Pack – Review! I would love to win it for my daughter Jasmine, she loves unicorns. My daughter is unicorn mad. 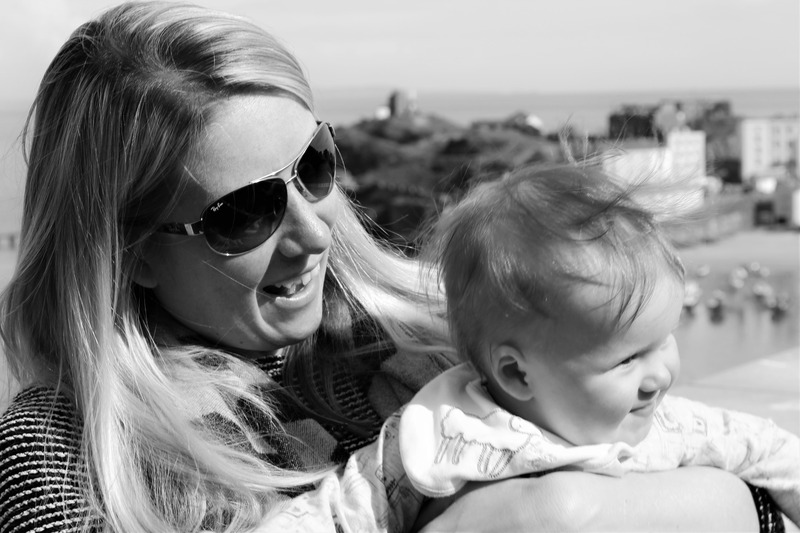 My niece loves unicorns – I’d be the fave auntie! I would absolutely love a copy of totally unicorns to give to my daughter Heidi she loves all things unicorns and enjoys reading, this would be perfect. My daughter loves unicorns and this would be wonderful for her! My step daughter loves unicorns! My three year old is mad on unicorns, just absolutely loves them, she calls them ‘corns’. This would be great for her to explore some more corn activities. We have more than one unicorn fan in our house. A lovely giveaway. Thank you. My daughter has been unicorn and rainbow mad since she was tiny. She would love this. my daughter is obsessed so would love to win for her! It also looks like it’d be great for my daughter who would love to learn more about unicorns! Would be a magazine new to us, which we could perhaps read together. Because everybody loves unicorns, don’t they? 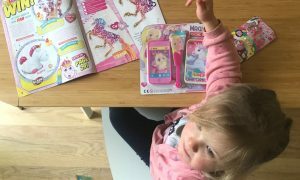 My granddaughter has just discovered unicorns and we could read the magazines together and learn lots of amazing things about them! I have a daughter who loves unicorns so I would love to win this for her. Because i love unicorns and my daughter love them even more than me! My 9 year old daughter would love this!! We could read the magazine which is new to us. Then gift it to church children’s group. This would be an act of kindness, by sharing a new experience of a magazine which is new to us. Would love to win for my daughter who loves unicorns. I would love to win for my niece who lives in South Africa and they do not get children mags like here. I buy many and ship them over every couple of months.